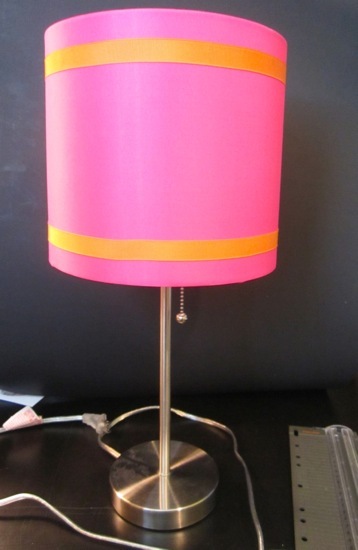 In an attempt to try to get one step closer to finishing my daughter’s room, I updated her lamp. It was so easy it’s almost not even worth a tutorial! 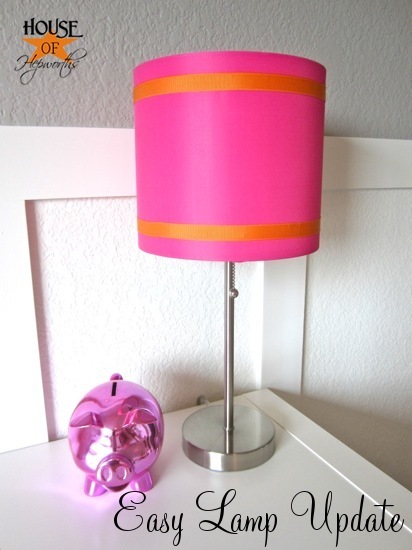 My daughter has this basic chrome lamp with a hot pink shade from Target. 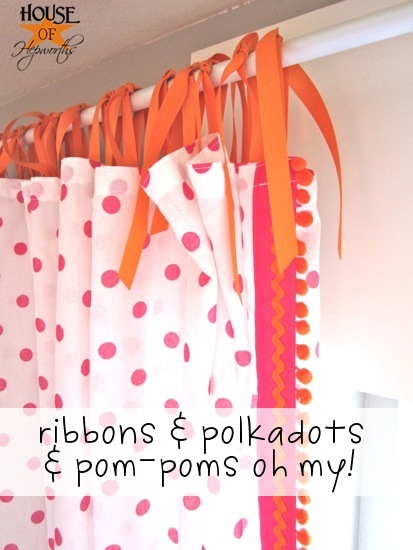 It seemed a little boring, so I just added some orange ribbon to the shade to help match her recently finished curtains. 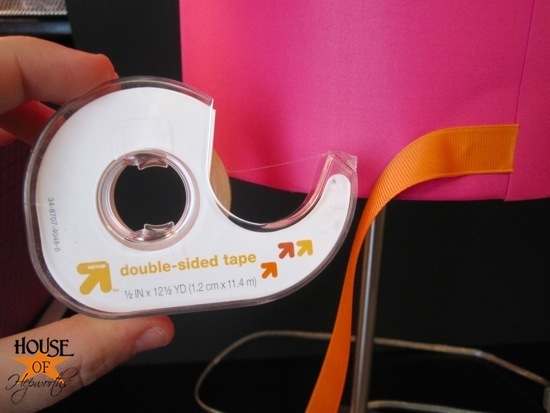 …and attached it to the shade with double-sided tape. I started and ended at the seam along the back of the shade. For added bond I added a small dab of hot glue. 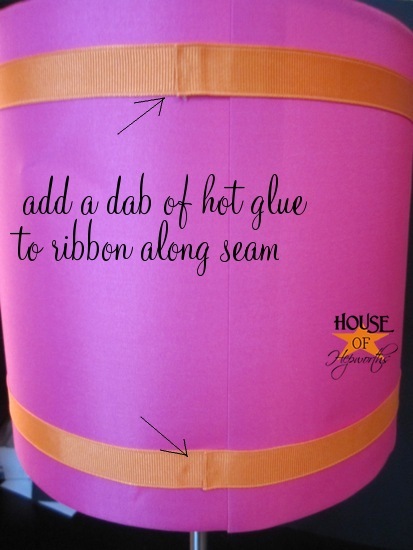 To create the finished ribbon edge just fold the edge of the ribbon over and then glue it to the shade. The result is pretty cute if you ask me! I considered adding some pom pom ball fringe around the bottom but it totally reminded me of a chihuahua wearing a big sombrero with dangly pom pom balls. Cute but not the look I’m going for. It’s just such a simple update, but I personally think it looks so cute! I can’t wait until her room is finished. I’m now one step closer. 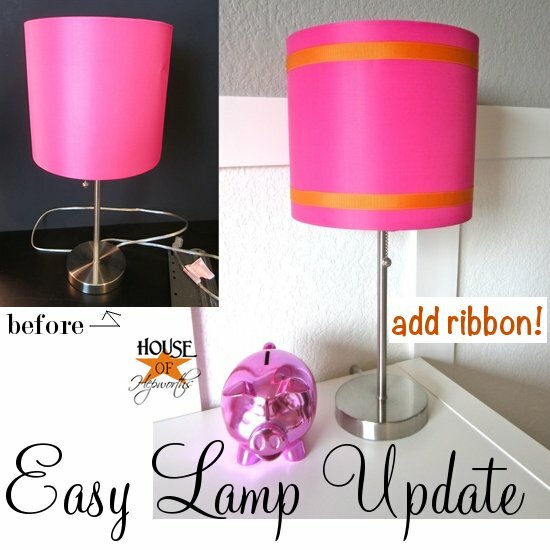 The ribbon makes a huge difference! My eight year old daughter loves bright colors in her room too. We’re both loving those curtains in your daughter’s room! 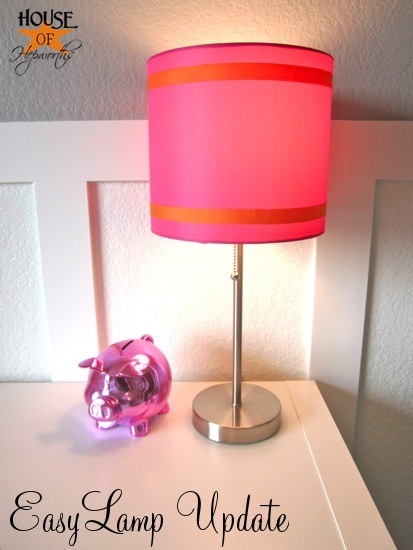 I just bought that exact same lamp for my daughter’s new room. I already added beads along the bottom for some sparkle but now I’m thinking some ribbon up top would finish it off perfectly! Thanks for the idea! 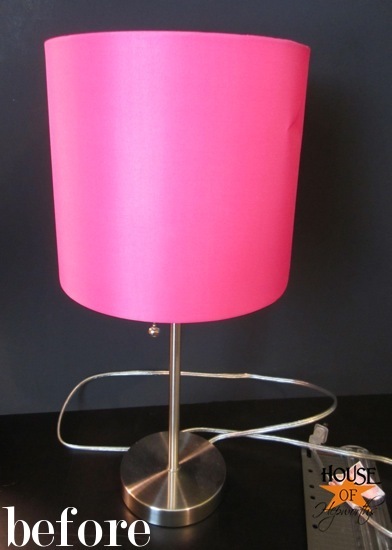 OMG I have the same lamp right next to my computer with a white shade! 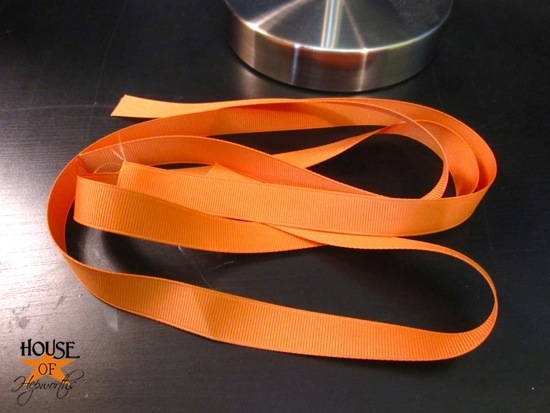 I am going to try your ribbon trick. What a great idea! 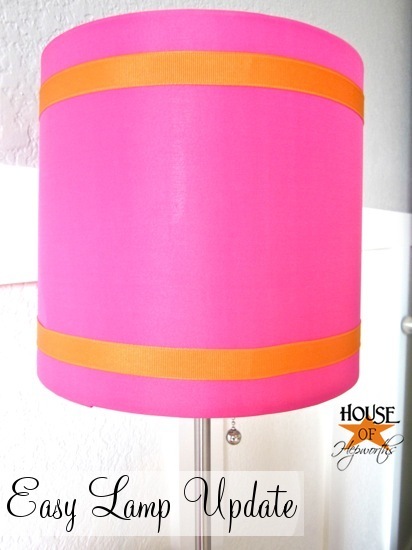 What a cute color combo! Love it! very cute, but simple. I so would have but the pom poms on it though, I am a dork that way. The lamp is just lovely. I love those two colors together. 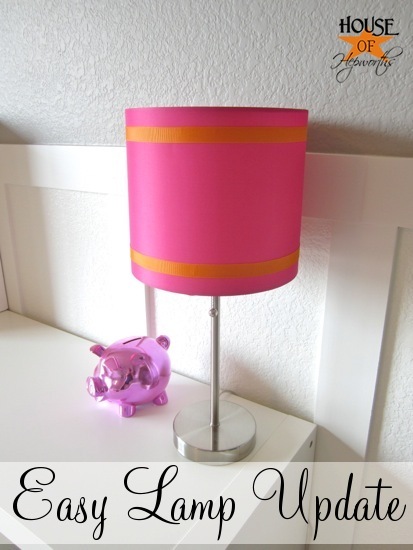 I love the bright pink and orange combo in her room! So fun!